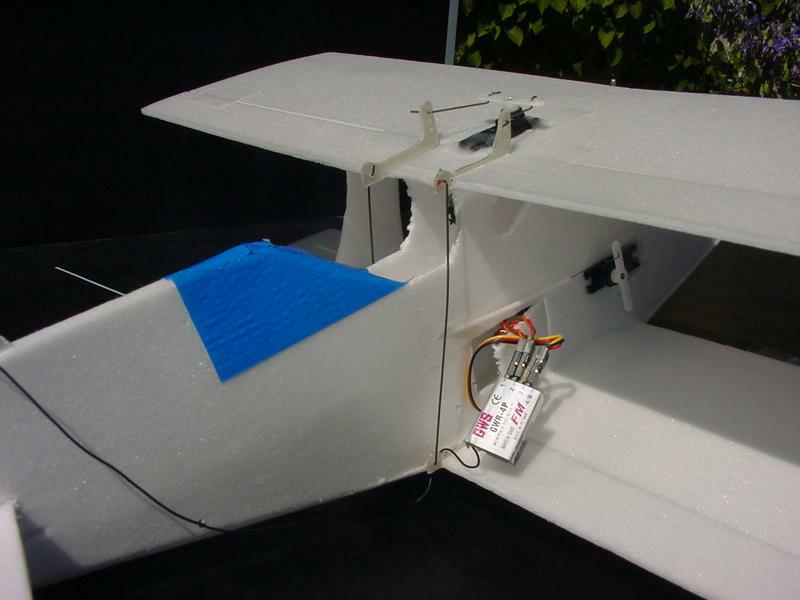 design/construction: Yann LeCun, summer 2003, modified summer 2004.
wingspan: 420mm, chord: 120mm (including 20mm full-span aileron on both wings). 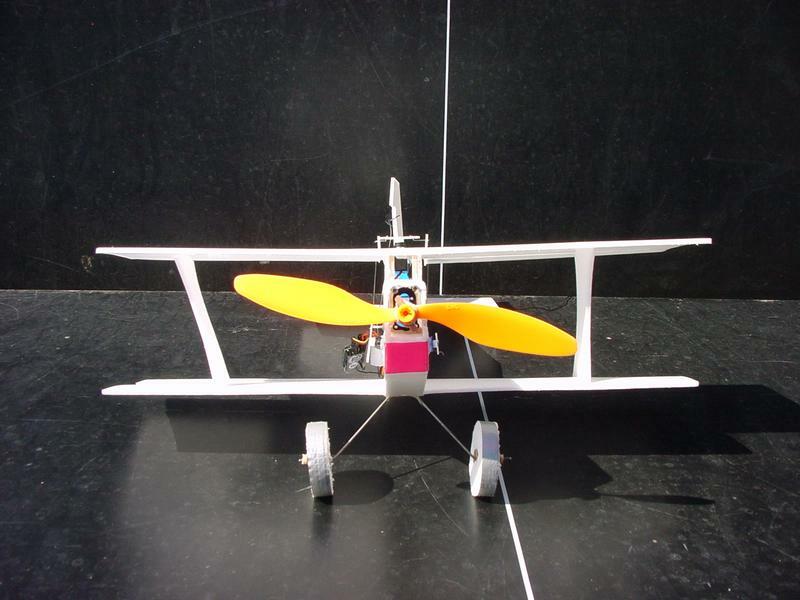 mass: 150 grams with a 2-cell 340mAh Kokam LiPo battery. battery: 2-cell Kokam LiPo 340mAh (2S1P), or 750mAh Taisun LiPo. materials: everything is made with 3mm Depron. 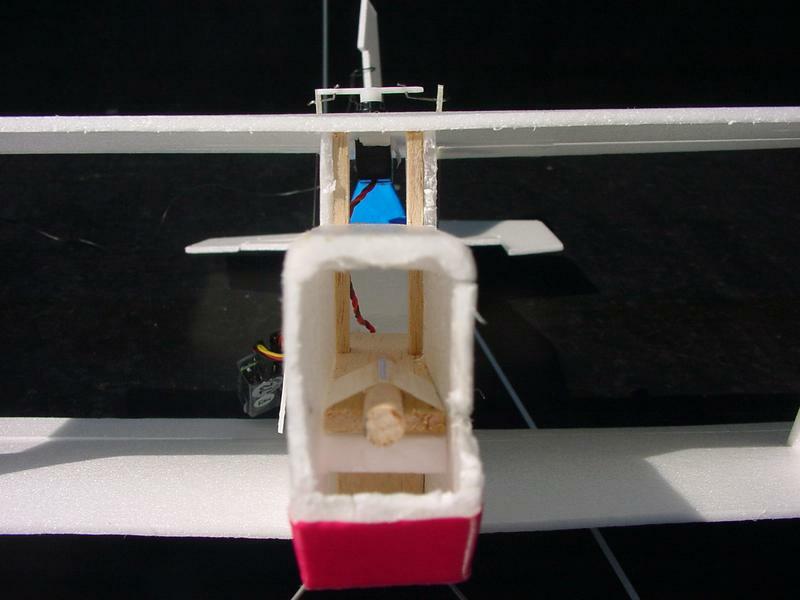 The motor mount and the studs that links the leading edge of the two wings are balsa. length of main fuse section: 400mm. distance between wings 95mm. flight: The flight is unbelievable. 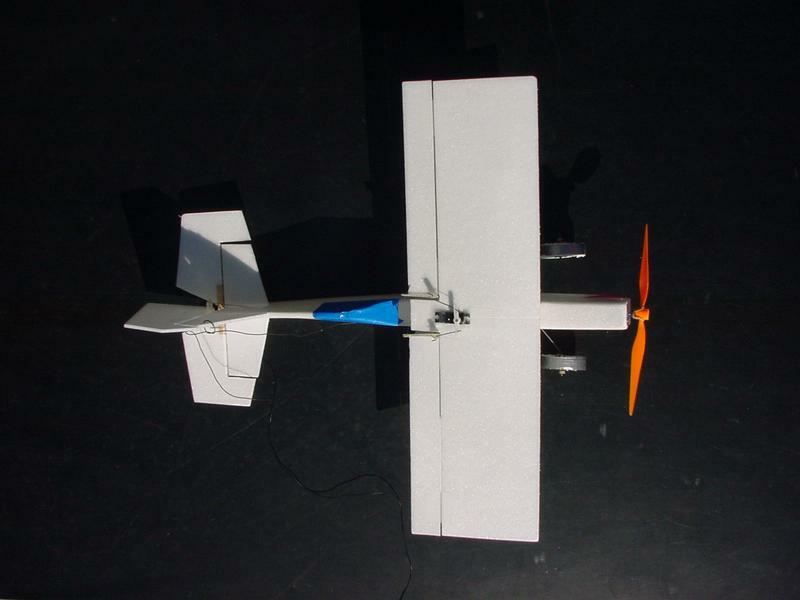 The plane can climb vertically, do loops with a 1 meter radius, roll at unreal rates... Inertia doesn't seem to have any effect on this plane, and gravity barely does. The old 4.8V GWS motorization had longevity problems (being over-volted by the 2-cell LiPo battery). The new MicRotex motor is absolutely marvelous. 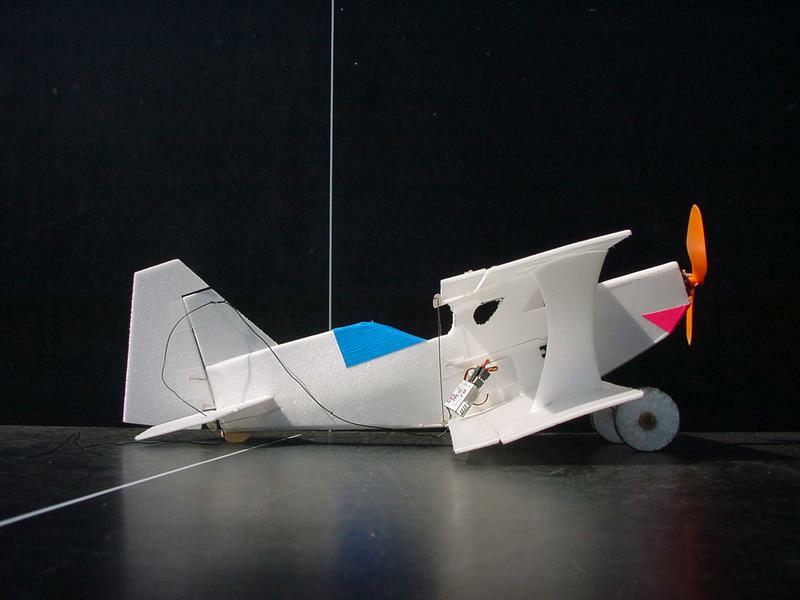 The plane is way over-powered with this: the thrust-to-weight ratio is about 2 to 1!